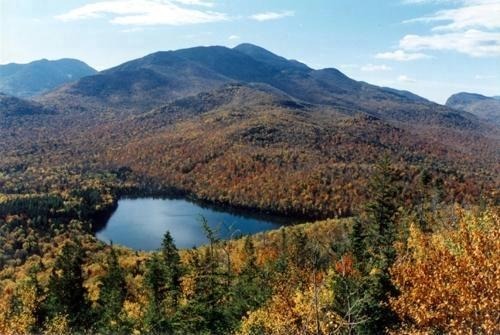 The Adirondack Park boundary, commonly referred to as the Blue Line, contains the entire Adirondack Mountain range, as well as some surrounding areas, all within the state of New York. The park includes all of Hamilton and Essex counties, as well as considerable portions of Clinton, Franklin, Fulton, Herkimer, St. Lawrence, and Warren counties and small portions of Lewis, Oneida, Saratoga, and Washington counties as well. "The Clinton County towns of Altona and Dannemora are specifically excluded from the park by statute, due to the large prison facilities in both towns."